I have this book and can't wait to read it. Thanks for the great review! The cover definitely drew my attention. And the title(yes it's a mouthful) but it is so perfect that this book couldn't be named anything else. I bought this book right after it came out. The UPS guy dropped it off and I literally went to town with it. The story takes place in 24 hours and I read it in less than half the time. I just couldn't put this one down. How amazing this writing was and the characters were so real and easy to relate to. How this story takes place and what happens throughout definitely makes you think it can happen to anyone. The ending was perfect for this story I just wish it didn't have to end. I already miss Oliver lol. This was such a cute, fun, and emotional read. 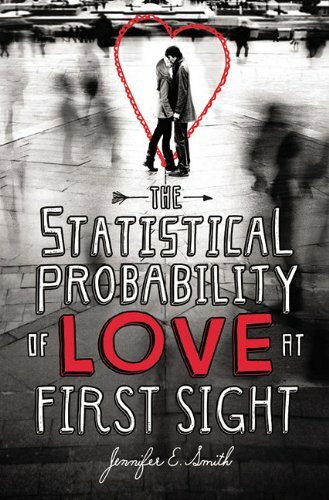 Yes the title says love at first sight but many emotional issues are tackled in the book, ther is a lot more to this than meets the eye. This is definitely one story that I truly love and will gladly read again. I love the cover too. Black and white photos are my favorite and the splash of red makes it look very adorable. Definitely have to agreed with your review. What a charming story about the possibilities of connections.